In this post in the series “Kill the Hierarchy” I explore how the organisation needs to give employees ownership of outcomes, if it is going to survive in a world of complex and constant change. A flatter hierarchy will be needed to achieve this. I have talked about W.L. Gore in previous posts in this series and have also quoted Kelly. W.L. Gore is known for its flat structure. Although there is a structure (divisions, business units etc. ), there is no organisational chart, no hierarchy, and therefore no bosses. 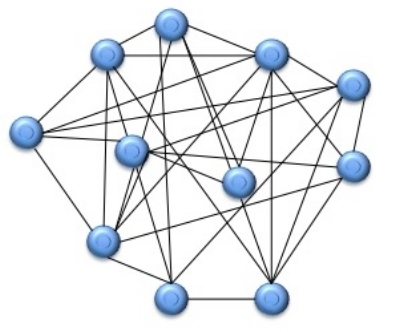 Gore has a lattice structure in which everyone collaborates and build connections without the constraints of traditional chains of command. Everyone is connected without the need for intermediaries. Gore’s philosophy is that individuals don’t need close supervision; what they need is mentoring and support. W.L. Gore is one of the most successful companies in the world and has more than 10,000 employees. Gore is most famous for its Gore-Tex fabric but actually has a large diverse product portfolio including vacuum filters, microwave cable assemblies, guitar strings, dental floss, and medical devices. Gore has earned a spot on the Fortune 100 Best Companies to Work For list every year since 1998, and in 2017 was in the number 52 position. The fundamental beliefs on the W.L. Gore website epitomise the principles of employee ownership. “We also believe we’re all in the same boat. As Associates, we have a vested interest in the success of the company, and we share in Gore’s risks and rewards while having an added incentive to stay committed to our enterprise’s long-term success. As a result, we feel we’re all in this effort together, and believe we should always consider what's best for the enterprise as a whole when making decisions”. At Gore ‘Associates’ can make-decisions, choose the work they do and make commitments to their colleagues on the outcomes they will achieve. They are encouraged to experiment. As a result they have a stake in the organisations success and a feeling of ownership. So what benefits do organisations reap when there is a sense of ownership? When leaders entrust employees with a sense of responsibility and ownership towards their role, it fosters collaboration at work for maximised productivity. When employees have a sense of ownership of their job, they tend to become better performers at work. A 2014 Forbes article cited a Data Freaks study that revealed how organisations can benefit from higher employee engagement, lower turnover, and increased financial performance by simply increasing the feeling of ownership employees experience – regardless of whether employees have any ownership in the business itself. Higher employee engagement not only leads to increased productivity and profitability but also increased motivation, innovation and creativity. Lower turnover reduces the cost of attrition and retains talent. Engagement and low turnover will also result in the attraction of talent as the organisation is seen as a great place to work. High performing organisations have employees who ‘own’ outcomes. There is a culture of accountability, trust and mutual respect. Employees treat the business as if it were their own. They handle actions and decisions with due care and attention. Ownership is about taking initiative and doing the right thing for the business. When there is a sense of ownership employees are aligned to the values and culture of the organisation and identify with the goals and objectives. As in the Gore example, there is a sense of ‘we are all in this together’. The Gore example and those of other organisations in which employees have a sense of ownership have some basic things in common. Actively encourage employee involvement in all aspects of the business. Encourage cross team collaboration. Teams are often fluid their composition changes as employees decide what they want to work on. Make it easy for employees to navigate the organisation to support collaboration. Provide a supportive framework with a culture of reward and recognition. Encourage innovation and experimentation with a no-blame culture when things go wrong as long as they were done with the good of the organisation in mind. Establish common values, which everyone can identify with and live by. Create a common sense of purpose. Build trust and mutual respect. Allow employees to make decisions, initiate and drive change. Allow everyone to challenge the status quo and allow everyone to contribute to discussions in regards to alternative approaches. Create continual feedback loops for all parts of the organisation – up, down and across. Support this with continual learning and development. Give employees flexibility and choices. Don't tell employees they are empowered – tell them they already had the power. 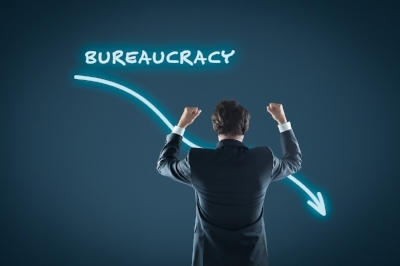 And finally, kill the hierarchy to remove the bureaucracy – otherwise you can’t do any of the above! Most of these actions will not happen overnight, but organisations can start to move I the right direction. I suggest taking a look at some of the organisations that have challenged their status quo to obtain employee ownership. See if you can aspire to do some, if not all, that the likes of Gore, Valve, Semco, General Electric, Caterpillar, Morning Star and Pixar have achieved. Another organisation featuring on the Fortune Best Companies to Work For list in 2017 is FedEx coming in at position 99. FedEx gives drivers ownership, which means they are in charge of figuring out the best route to serve their customers most efficiently. No one tells them how to do their job; they simply need to achieve their goal: get their deliveries to the right people quickly. Tom Peters, the management guru, has made the story about a FedEx employee and a helicopter become a legend in demonstrating what can happen when employees feel ‘ownership’. The story goes that back in the 1980s, a blizzard in California took down a telephone tower located in the mountains, which served the main FedEx call centre. The phone company were unable to get to the top of the mountain to repair it. A ‘regular’ FedEx employee worked out that he had the ability to fix the failure. He rented a helicopter, paid for with his own credit card, and flew to the mountaintop where he fixed the tower and in so doing, the FedEx call centre came back online. The crux of the story was that the FedEx employee felt he had ‘ownership’ of the problem but also of the outcome. It is also important to note that the employee was empowered and felt he could make the decision. It did not have to go up and down a hierarchy of control, which would have either led to total inertia or a considerable and unnecessary delay in restoring call centre operations. When employees have a sense of ownership, they are motivated, innovative and creative. Employee engagement increases which leads to increased productivity, which in turn has a positive effect on the bottom line. Profitability goes up.